About one mile to the west. Site of Patton's Fort, 1813. Chartered 1818. Near old road from Natchez to Ga. 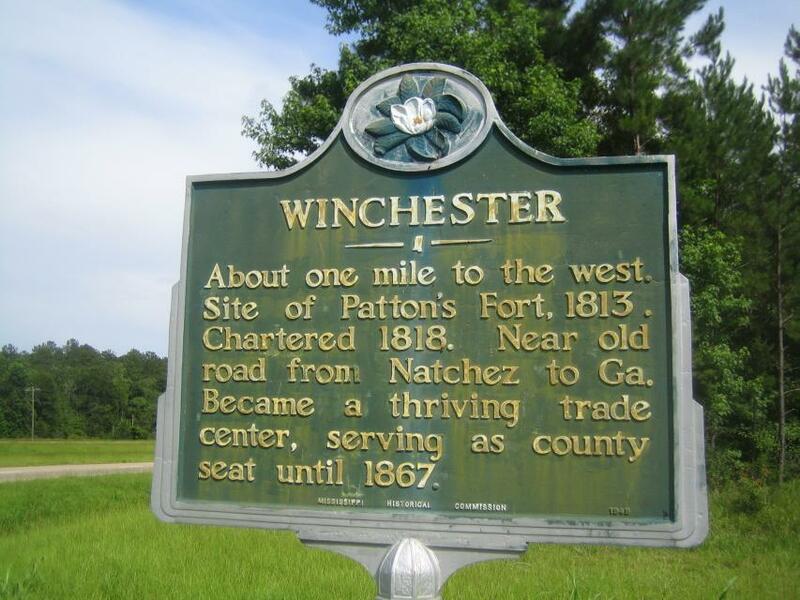 Became a thriving trade center, serving as county seat until 1867. This marker can also be identified by its HM code. You can use the hashtag #HM1IV4 in tweets, and any other place where you might refer to this marker, including when searching on this site.